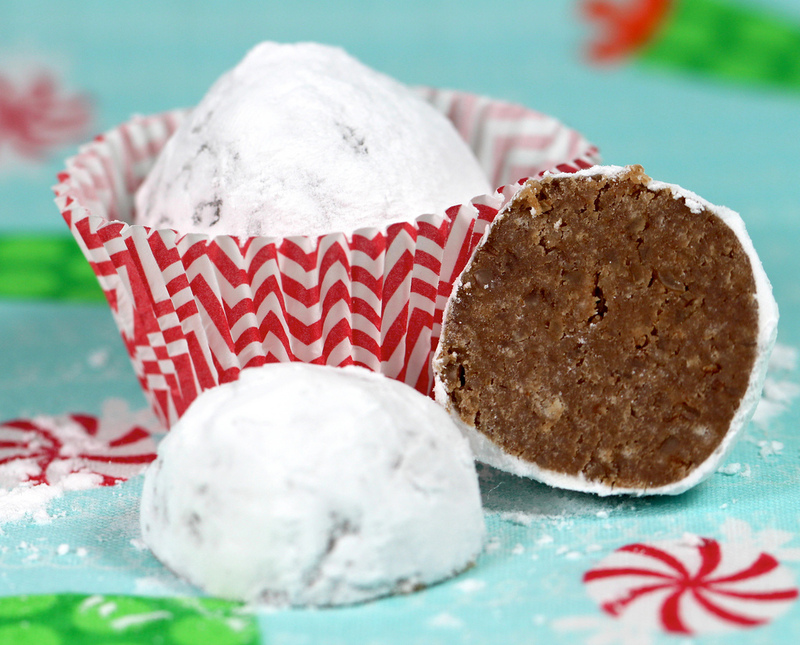 When I was a teenager, my grandmother taught me how to make a wonderfully potent confection known as Bourbon Balls or Rum Balls. 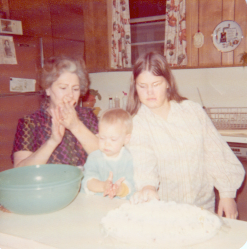 We would sit at her kitchen counter and roll out a double batch, talking and laughing, getting powdered sugar all over the place, and sneaking a bite or two. She would put the vanilla wafers into a plastic bag and give us kids rolling pins or tenderizing mallets. We would whack the heck out of those cookies and eventually pound them into dust. While we were whaling away on the wafers, she chopped the pecans into bits by hand — a chore that grew harder as the arthritis in her fingers worsened over the years. When I started making them on my own, I found that a new-fangled device called a food processor took out much of the tedium. 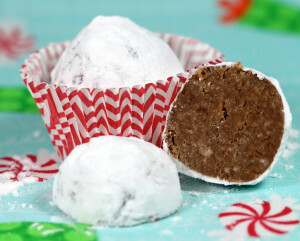 Finding ground pecan meal at the local grocery store was bourbon ball nirvana. While we rolled out the balls, the adults would nip a little of the Ezra Brooks she used in the mix. Ezra Brooks was my grandfather’s bourbon of choice, and traditionally I use it when I make bourbon balls. This year, however, I decided to go local. I used Treaty Oaks Distillery’s newest product, Red-Handed Bourbon Whiskey. An Austin distillery, Treaty Oaks has a growing stable of distilled spirits, including one of my favorite summer drinks, Graham’s Texas Tea, a sweet tea vodka. (Try it half-and-half with lemonade!) Red-Handed Bourbon is a blended bourbon that just came out this fall. Mix the crushed vanilla wafers, ground pecans, and powdered sugar together. Add the corn syrup and liquor to the mixture and blend well. (I put plastic gloves on and use my hands.) The mixture should be just wet enough to form into one big ball while blending it. If the mixture is too dry, add a touch more liquor. If the mixture is wet, add more crushed vanilla wafers. * Form the mixture into a loaf and wrap it up in either aluminum foil or plastic wrap. * Refrigerate overnight or longer. * Cut 1/2 inch slices off the loaf and then cut each slice into bite-sized pieces (usually 4-6 pieces per slice, depending on how big you want your bites to be). In small batches, put the pieces into the powdered sugar, cover, and shake gently until the pieces are coated. Store in covered containers to keep them from drying out. * Alternatively, you can use a teaspoon to scoop out the mixture and then use your hands to roll them into balls. However, the loaf method is a lot faster.